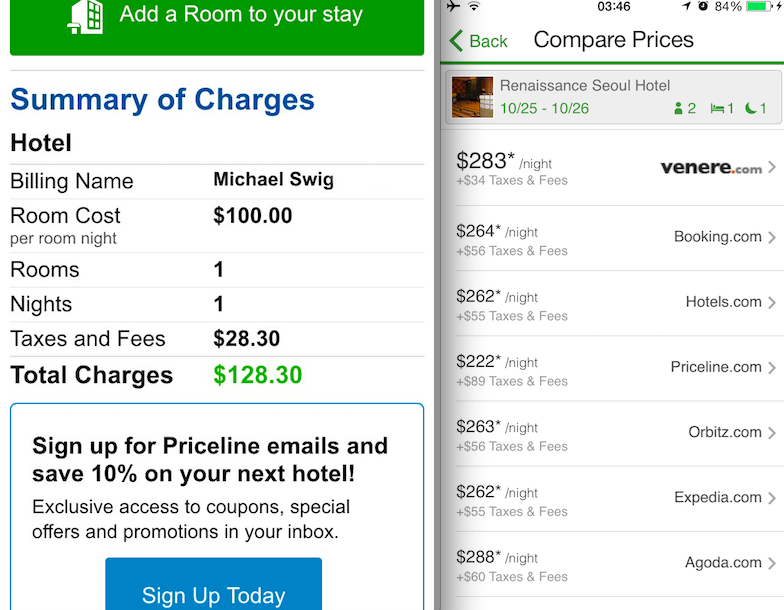 Over the years I have heard a lot of hype about Priceline.com and how you can get some great deals. Priceline is one of my affiliates, so I decided to give the site a try and share my experience. We have all seen the Priceline negotiator advertisements on TV, but those commercials do not exactly outline how the site works. There are two ways to book on Priceline.com, first is like any normal travel site booking where you put in your dates then select the rooms at a certain price. The second unique method lets you bid and select your own price for a certain area in a city. This post will show you book five star hotels with Priceline. To provide the easiest explanation I will show how I booked my most recent stay in Seoul, Korea. Hotels are extremely overpriced in Korea and a lot of times you can get a better room at a “love motel” which run around $50-10o per night while hotels are normally 2x or 3x that price. So if you are on a budget and traveling around Korea love motels are the way to go. Anyway, back to booking my room. The way the Name Your Own Price feature works is pretty simple. Step 4- Name Your Own Price (My suggestion is to check the lowest 5 star rates and substantially low ball it, on average this area runs around $300 per night, so I put in $100 and hit bid. This price was accepted after putting in my credit card info. *If your offer is too low then they will give you another chance to bid at a different price.